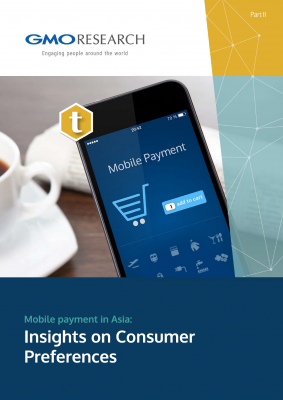 What do the consumers in Asia want out of mobile payment? Look at user preferences across six key markets in Asia. Please confirm acceptance by clicking the "Confirm" button at the bottom of the page. By ticking to “Subscribe to GMO Newsletter” you will receive information in regards to Asian market insights. You can always change your mind by clicking the unsubscribe link in the footer of any email you receive from us, or by contacting us at gmor.marketing@gmo-research.jp.